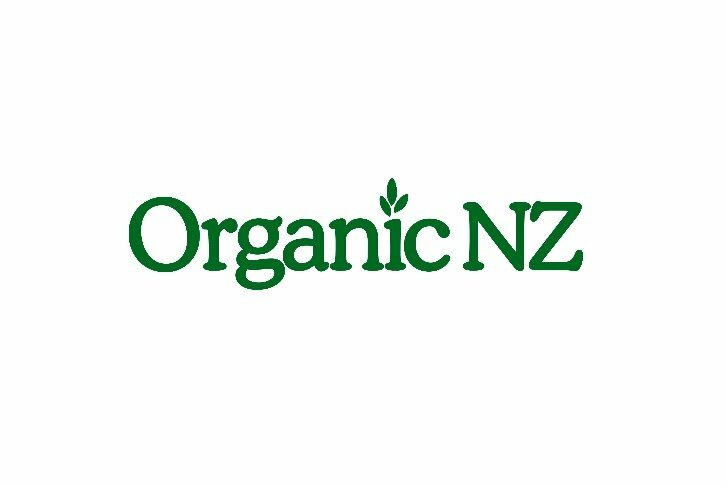 In which Organic NZ questions the Food Quality Authority (also known as Christine Dann) about whether the Food Bill 2010, if enacted in its current form, would really protect New Zealanders from dying in their thousands from food-related diseases every year, and if not, what it would be better to do instead? ONZ: Where did this Food Bill come from? FQA: The government felt it was time to update the thirty-year-old Food Act 1981, which currently governs health and safety standards for New Zealand food businesses. ONZ: Was that because hundreds of New Zealanders are falling sick and even dying from food-borne illnesses every year? FQA: Not really, because the food-related diseases most New Zealanders suffer from will not be affected at all by this Bill. ONZ: What?! What sort of diseases are these? FQA: The latest statistics provided by the Ministry of Health are for 2008. In that year 17,684 New Zealanders died of the non-infectious diseases recognised by the World Health Organisation as being diet-related. They are cancer, ischaemic heart disease, cerebrovascular disease, diabetes mellitus and obesity. ONZ: The Food Bill does not cover foods that cause these diseases? ONZ: So what potentially unsafe or lethal foods IS it supposed to protect us from? FQA: Mainly foods contaminated with infectious micro-organisms (technically known as ‘nasty bugs’) and foods containing dangerous non-food objects (such as pieces of metal or glass). ONZ: So it will still be perfectly legal to sell food contaminated with pesticides, herbicides, veterinary medicines, heavy metals, novel food-processing chemicals, and also genetically-modified organisms below the current limit deemed to be safe? ONZ: How many New Zealanders get sick or die each year from food contaminated by infectious micro-organisms? ONZ: That’s not very many compared to the non-infectious food-related diseases, is it? FQA: Hardly any when you consider that six New Zealanders died of these diseases in 2008, compared to 76 who died from obesity, and 877 from diabetes, plus thousands dying of heart disease, strokes and cancers as a result of poor diet. ONZ: What about people who get really sick, but don’t die? FQA: There were 508 hospital admissions in 2008 where one of the major infectious food-borne illnesses was the principal diagnosis, and 255 where it was a relevant diagnosis. That’s fewer than 1,000 people sick enough to go to hospital – as compared to the tens of thousands in hospital every year suffering from the symptoms of a non-communicable diet-related disease. Most ironically, one of the places where there was an outbreak of 16 confirmed cases of campylobacter in 2010 was the acute care ward of a Wellington hospital. ONZ: So when the Food Bill defines food safety in Clause 11 (1) (a) as ‘…a condition in which food, in terms of its intended use, is unlikely to cause or lead to illness or injury to human life or public health;’ this will not cover any of the foods currently being sold that lead to non-communicable diet-related diseases? FQA: No. Those foods, which are primarily foods too high in sugar, fat and salt and/or too low in fibre, vitamins, minerals, and other micro-nutrients, and/or foods contaminated (intentionally or unintentionally) with chemical toxins, will continue to be sold perfectly legally – provided the purveyor has a registered food risk management plan as provided for in this Bill. ONZ: So this Bill is not really going to protect New Zealanders from the true dangers in our daily diet at all? FQA: You might well think that; I could not possibly comment. ONZ: If the Food Bill will have zero effect when it comes to protecting us from the dangerous foods that we eat too much of, will it have any good effects at all? FQA: The Green Party thinks it is desirable that imported foods will have to have more information provided about their origins, and processes of manufacture, but has other reservations about the Bill, as does the Labour Party. ONZ: Oh – what are they? ONZ: Is requiring every commercial enterprise to have its own risk management plan the best way to ensure public health and safety? Isn’t it better to set mandatory standards for proper health and safety practices and systems, train all staff in meeting them, and have regular government inspections of work premises to ensure that they are being followed? FQA: After the Pike River tragedy, many people are asking such questions. The short answer is that the risk management plan approach is favoured by corporations because it is cheaper to do a plan on paper and hand out copies than to train staff properly and equip workplaces and workers for optimum health and safety. ONZ: So are food corporations in charge of the Food Safety Authority then? ONZ: Well I prefer to eat locally-grown, organically-produced food not industrial food, anyway – but I heard that the Bill was going to make things difficult for those of us in local community networks of home gardeners and cooks who sell or barter food with each other, and also for people selling food to raise funds for good causes. Is this true? FQA: Home gardeners and home-grown food sharers are not covered by the Bill, so no worries there. The Bill in its end-of-2011 form provides for charitable food activities to be exempt from preparing a food handling plan and/or being part of the national food safety programme, provided that such activities are irregular and do not happen more than twenty times a year. ONZ: So I would be legally able to sell my home-made preserves to my fellow choir members at our weekly practice to raise funds for the choir at the first 20 practices of the year – and after that I would be a committing a crime unless I apply for an exemption? ONZ: Given that there is absolutely no evidence that public health is suffering as result of the foods being produced and consumed in the non-commercial sector (and compelling evidence that some of the activities in the commercial sector e.g. intensive farming, are creating and spreading new toxic organisms), wouldn’t it make more sense if food safety legislation concentrated on the real dangers and left the informal sector alone? Isn’t this total overkill, and a complete waste of the public’s time and money? FQA: I couldn’t agree more – so why not lobby the government to make this change to the Bill?
) to let her know what you think, and send copies to your local MP, and the Labour and Green parties. · Support the Green Party’s call to re-open public consultation on the Bill so that this issue can be properly and satisfactorily dealt with. Christine Dann has been researching and writing about sustainable and fair food production and distribution for over ten years.